Mr Chalençon made the claim following an interview with Italian media this week after being asked about his meeting with Five Star Movement leader Luigi Di Maio earlier this month BFMTV reports. Following the broadcast of the footage, Five Star Movement leader Luigi Di Maio distanced himself from Chalençon, saying: “We do not talk with those who talk about armed struggle or civil war” — despite previously meeting Chalençon and discussing various topics with him and other Yellow Vest members for two hours. The meeting between Di Maio, who along with Matteo Salvini acts as Deputy Prime Minister of Italy, and the Yellow Vests greatly increased existing tensions between Italy and France, resulting in France recalling its ambassador to Italy. 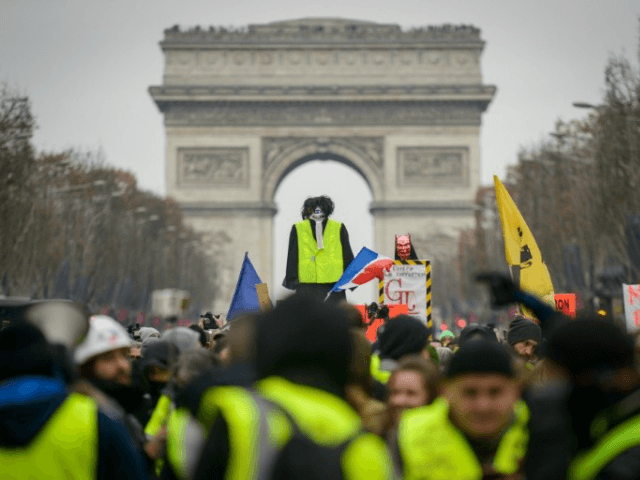 The comments of Chalençon come after another Yellow Vest figure, Eric Drouet, received a police visit back in December after going on French television and saying the protesters were ready to storm the Elysee Palace.